SppDb (aka Species Database), helps encapsulate your plant knowledge and makes it easily available for use while designing. Store comprehensive information about the characteristics of plant species – those that you actually know and work with in your practice. 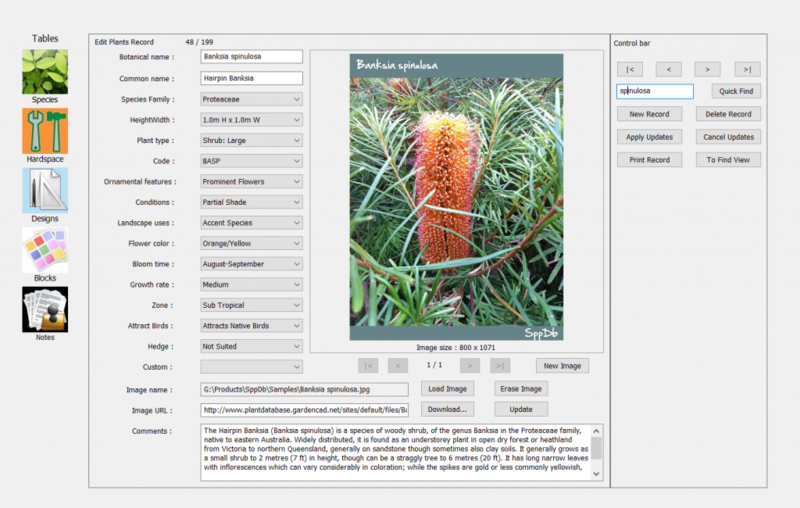 In essence, the software enables the creation of a searchable, personal plant file that you use to filter your own information about familiar plants. It can work as a ‘memory jogger’ to find species that solve particular landscape design problems.